During the month of October, organizations throughout the nation are bringing awareness to help stop Domestic Violence and Sexual Assault among women, as well as assist those who have been abused. 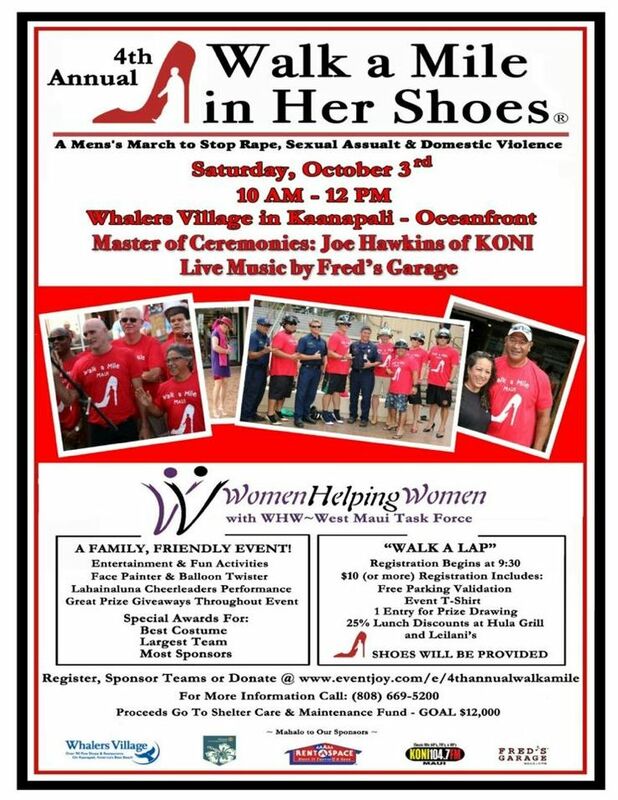 One such organization is Women Helping Women in West Maui. Our 5A Rent-A-Space Lahaina Team have been dedicated supporters of this organization, and helped sponsor their 4th Annual Walk a Mile in Her Shoes fundraiser. The fundraiser was a huge success in large thanks to the community support surrounding this wonderful organization. 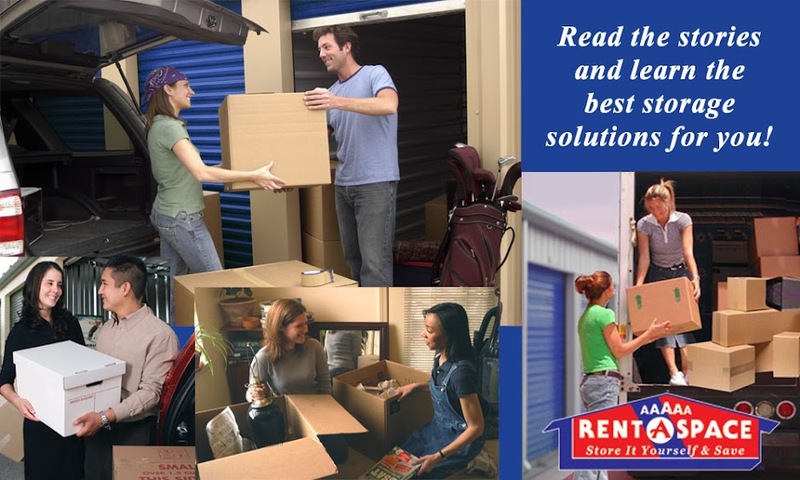 To make a donation of clothing, shoes, home items, etc. for the women living at the Women Helping Women shelter, stop by our 5A Rent-A-Space Lahaina location and drop them off in the front office. Our address and the link to our website are below. All donations are tax deductible. If you are a Domestic Abuse survivor looking for help in the San Francisco Bay Area, or are looking to support a local organization, visit the links below. Here are a few photos from the day of the event. 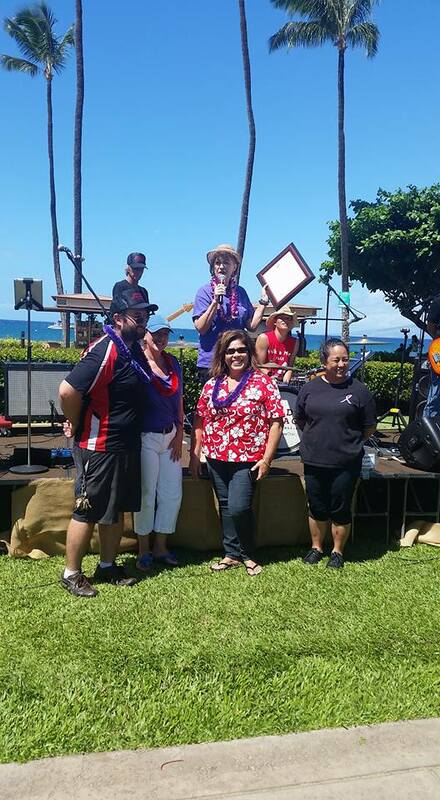 The 5A Rent-A-Space Lahaina Team was honored at the Women Helping Women Walk a Mile in her Shoes event. 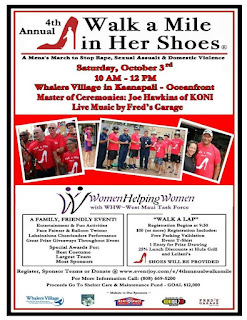 Our business sponsored this local event to help end domestic violence. Employees: Scott Matovich, Maria Terra, Liz May. Liz May of 5A Rent-A-Space Lahaina, Maui at the Walk a Mile in her Shoes fundraiser on 10/3/15. 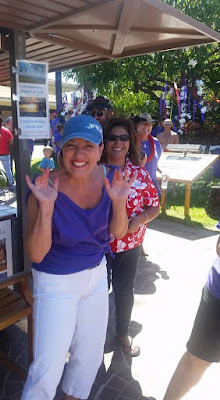 This goes to support the Women Helping Women organization on Maui. 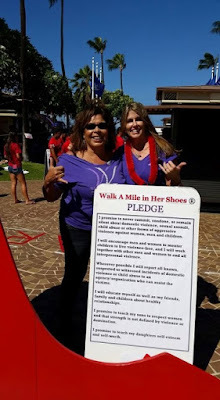 5A Lahaina Assistant Manager Maria Terra & General Manager Liz May at the Women Helping Women Walk a Mile in her shoes fundraiser. This goes to support women who are victims of Domestic Abuse.